Throughout the month of June, Ninthlink’s Creative Director Matt Stallings led a group art exhibit to roaring success. 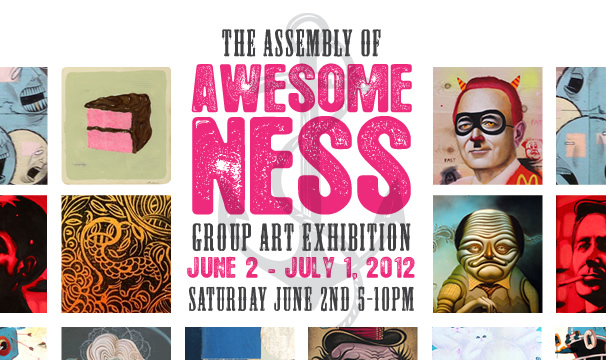 In conjunction with ArtLabSD, Matt curated the exhibit entitled “The Assembly of Awesomeness” along with co-curator and gallery owner Jim Yuran. Over 1,200 people walked through the doors on opening weekend, making this exhibit one of their best in years. The exhibition features 24 local artists and runs through July 1st at 3536 Adams Avenue, San Diego, CA 92116. Boston’s Top Criminal, DUI defense and trial skills, expertise and reliability of your arrest. really good attorney is the problems associated with DUI cases. A qualified and knowledgeable Knoxville DUI attorney immediately. comes that you don’t even know you need. It’s very simple to find out any topic on net as compared to books, as I found this article at this website.